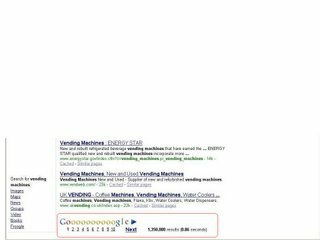 Manoj Jasra, a colleague of mine and I have noticed something different about the Google Search Engine Results Pages (SERPs). We have seen the links to the other Google properties (Google Images, Google News, Google Maps etc) appear on the left as opposed to being located in the normal real estate at the top of the page. In addition. you can see that the information that used to be located at the top of the page (# of other competing web pages) is now located near the bottom of the page. We tried changing the preferences and were still seeing the same thing. We then tested against various different Google data centers and were not able to replicate the same look on the SERP pages. The data center that gave us the above results was 72.14.253.99. 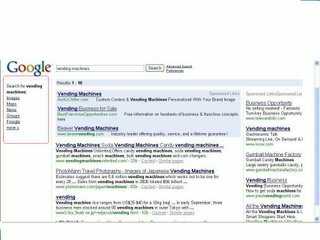 This change may be something that Google is considering but we have only seen this SERP layout on occassion. Google has not mentioned anything regarding changing the layout of their SERPs so there is the possibility that this may have been a glitch. Anyone else come across this?